Prominent defence and maritime organisations attended the two-day event, which featured presentations on industry graduate programs, workshops on resume writing and interview skills, and the careers expo. 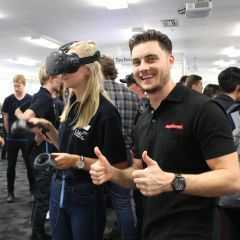 Students also had the chance to test their skills at the Department of Defence's stall, where they were dropped in to a humanitarian disaster zone as part of a virtual reality training scenario. The exhibitors included BAE Systems, Defence Force Recruiting, The PFG Group Pty Ltd, Wallbridge Gilbert and Aztech, Fincantieri, Subsea 7, Shell Trident LNG Shipping, BMT Design and Technology, ANL Container Line and Woodside Energy. AMC Interim Principal, Professor Nataliya Nikolova said that the Careers Expo successfully connected industry partners with future graduates, whose career-relevant courses make them in demand world-wide. “The AMC Careers Expo is an excellent forum for our students to learn about the range of careers that await them in the maritime field, and for industry representatives to promote their organisations and identify new talent," Professor Nikolova said. "The qualifications we offer — across the disciplines of coastal and ocean seafaring, maritime engineering, and maritime business and international logistics — correlate closely with global demand, leading to excellent outcomes for our graduates." Peter Osbourne from international defence and security firm BAE Systems highlighted the exceptional career opportunities that lay ahead for maritime engineering graduates. "There's a lot of activity going to be happening in the naval shipbuilding area over the next couple of decades with the continuous shipbuilding program which the Government has rolled out. This institution is going to be a massive contributor to the skilled workforce that is going to go into these programs," Mr Osbourne said. 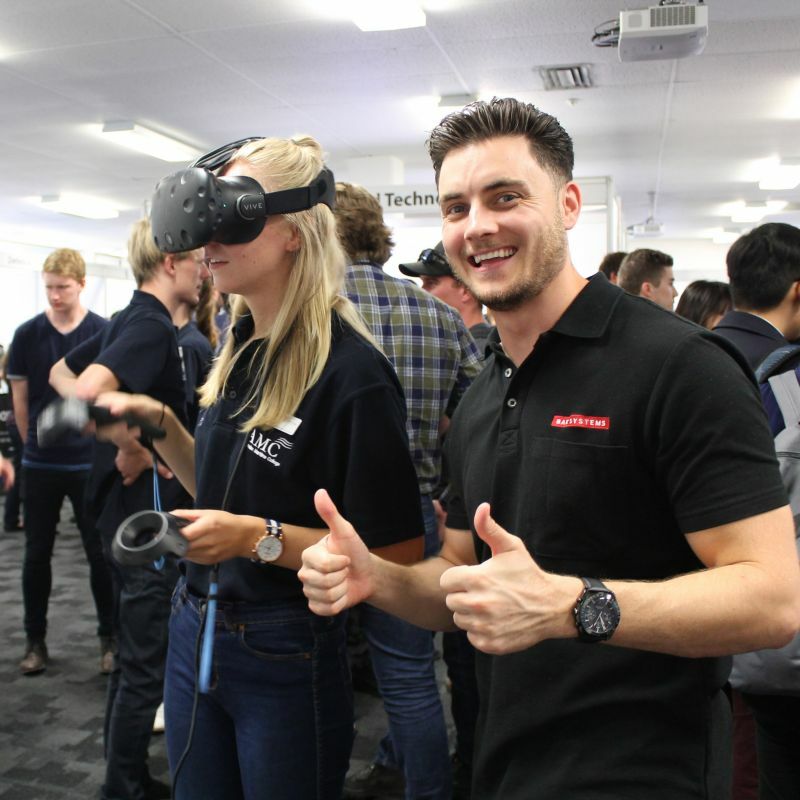 Shell Trident Australia's Louise Foster said the expo provided the shipping company with the opportunity to get a better understanding of what current students were seeking. "We have a number of cadet and training opportunities available for people, from training integrated ratings, engineering cadets and trainees, and deck officer cadets as well. So it's really about meeting the people, giving them a bit of information about what Trident do and what we're all about," she said. For AMC student ambassadors Maggie Gilligan and Michael Dunn, the expo helped to refine their career ambitions and develop their professional networks. "I've got so many contacts out of this today, I have heaps of numbers and heaps of emails, people to get in contact with. And it's honestly made me really excited for my career ahead," Maggie said. "It's great to see all these world-class businesses here," Michael added. "Talking to people from industry is such an amazing thing… you're getting it straight from them which is great. And it's good to hear about their graduate programs and all those kinds of things that really give you a bit of hope for the future."